Bastogne was under siege and effectively surrounded. The Germans knew it, and the Americans knew it. Catching thousands of green 106th and veteran 28th Infantry Division troops off guard, the Germans swiftly poured a deluge of terror and death into the Ardennes Forest that mid-December, 1944. In their resolve to split the Allies and reach Antwerp, an American supply port, Nazi airborne and SS forces encircled Bastogne, a highway juncture critical to funneling supplies and reinforcements from Germany. In bone-penetrating cold and blowing snow, the 101st Airborne Division fought back with other units which had been hit with the full force of the massive offensive, a drive, which, at its spearheads, initially outnumbered the defenders by six to one. Though the green 106th and veteran 28th Divisions had absorbed most of the initial shock, the 101st was more gradually sustaining casualties and running out of artillery rounds, requiring its interim commander, Brig. Gen. Anthony McAuliffe, to realign and shrink his defenses. When further shrinkage seemed hopeless, he telephoned his superior in nearby Neufchateau and requested permission to virtually evacuate the city. In that view, Maj. Gen. 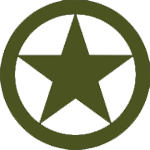 Troy H. Middleton, commander of the VIIIth Corps, was initially at odds with his own superior, the audacious Lt. Gen. George S. Patton, Third Army commander. But Patton, who had considered withdrawing some embattled troops to join with freshly-arrived reinforcements, had an entirely-different, Pattonesque plan in mind. At a time when all the other top commanders were quaking from the shocking attack, Patton wanted to take the offensive, itching to turn the tables and trap the Nazi salient from behind. The subsequent meeting between Patton and Middleton was one of the most fateful of the Battle of the Bulge. Perhaps uniquely, it was the soft-spoken, bespectacled subordinate, Troy Middleton, who convinced the impatient Patton that the main highways leading into Bastogne must be severed; that German strongholds around the city must be retaken, and the highway/rail center denied to the enemy. But there was still the matter of throwing in reinforcements to bring the Third Army up to Von Clausewitz’s much-cited dictum that the victor must outmuscle the enemy in order to triumph. Three untested divisions, the 87th Infantry, the 11th Armored, and 17th Airborne, the 87th having recently left Germany’s Saar Valley after a bitter baptism, were available to execute Middleton’s tactical vision. Perhaps it was “tactical prescience” as Patton later characterized it; perhaps it was luck, but a few days after Middleton ordered McAuliffe not to abandon Bastogne, an event occurred that has become celebrated in history. Nazi generals, recognizing that their siege was wearing down their opponents, delivered their famous surrender note to McAuliffe. “The fortune of war is changing,” they wrote in English — at that time a reasonable, if debatable, contention. They went on to cite their key strongpoints as well as troops which stood ready to “annihilate” the American defenders unless a proper response was received within two hours. Handed the note in his bunker in battered Bastogne, McAuliffe knew what choice he had. Unambiguously ordered by Middleton to hold, (an order approved by Lt. Gen. Omar Bradley, 12th Army Group commander), and promised by Patton air drops of food and ammunition, he dismissed the surrender demand out-of-hand. Despite suspicions that have developed since those days that McAuliffe actually wrote a profanity to the German commander, he later confirmed that he conveyed the word “Nuts” as his terse answer. In their surrender document, the Nazis had cited their strongpoints: they held Libret, Libramont, Tillet and St. Hubert, all southwest of Bastogne. To dislodge them, the 87th Infantry Division had been ordered under harrowing conditions to execute a 350-mile position change from Germany, circling around France in open trucks, blowing snow, and near-zero weather, an endless motormarch whose tail was attacked by aircraft. When the 87th and 11th Armored Divisions, (the latter having made its own harrowing 350-mile motormarch after debarkation in France), closed within hours of one another outside Libramont, Maj. Gen. Middleton assigned the 87th to recapture three towns cited by the Germans as strongpoints: Libramont, St. Hubert and Tillet, remaining west of the 11th Armored, which was ordered to stay closer to Bastogne. From Dec. 30, 1944, through Jan. 12, 1945, fighting raged all around Bastogne. “In snow, sleet, and deepening cold,” as Middleton’s biography sonorously phrased it, the two-division attack, aided by a 9th Armored Division unit, inched forward on the west against a gradually-tiring and undersupplied German force. Now having added the 17th Airborne Division, the VIIIth Corps finally succeeded in throwing back repeated German attempts to penetrate Bastogne from the west, the 87th Division wresting away Pironpre, Libramont. St. Hubert, and, after a fierce struggle, Tillet. Most of those were strongpoints cited by the Germans in their surrender demand. Southeast of Bastogne, strong armored attacks were broken up by the 4th Armored and 35th Divisions. But the victories west of Bastogne represented the most fateful success: the first actual shrinkage of the Bulge. Luck, as George S. Patton admitted in meeting the press a few days later, had played a role in his Army’s timely reinforcement and success. But he was inordinately proud of other aspects—their bold spirit, as well as their indomitable will to win. It is only by reading Patton’s memoirs plus his private letters to his wife that one fully appreciates Patton’s role in his Army’s success. No matter how bleak or hopeless the situation, no matter how often he was urged to delay offensives because of severe losses, Patton refused, insisting with uncompromising regularity on attack, attack, attack. This resolute spirit permeated his Army and set Patton light years apart from commanders like timid British Field Marshal Bernard Montgomery. Today a re-reading of history and reflection on tactics inescapably suggest that Supreme Commander Dwight Eisenhower and Third Army Commander Patton were right (although the former was not visionary enough), and Marshal Montgomery was tragically wrong in the Allied response to the surprise German offensive. Montgomery’s response was to disastrously advise American forces to retreat and wait until supplies and troops were in an optimum posture for a textbook-like countermove—advice that evoked vile reactions from all the American commanders—especially Patton and his superior, Lt. Gen. Bradley, who both threatened to resign if the Americans were ordered to retreat. Had not Middleton, egged-on by Patton, ordered unrelenting attacks against the assaulting Nazis, and had not his infantrymen and tankers risen to higher levels of gallantry, the Germans certainly would have overcome the 101st’s resistance and been able to re-establish their supply lines leading to Bastogne. In that case, McAuliffe would not have been able to voice his legendary defiance, and the outmanned American forces would have been overrun. On all sides, this would have led to a bloodier toll, and extended the war for months. Patton never forgot Bastogne. He went so far as to compare its significance to towering Civil War events such as the Battles of Gettysburg and the Wilderness campaign. It was, he wrote his wife Beatrice, the Third Army’s most magnificent victory in Europe, outdoing even the Battle of France and the breakout after D-Day. A few days before the largest campaign in U.S. military history wound down, Patton again recalled Bastogne. 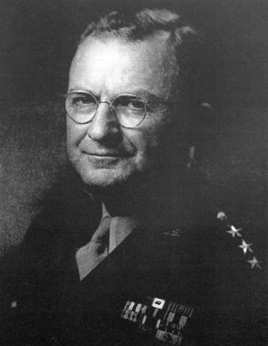 He wrote commending Middleton about exhibiting “magnificent tactical skills” as well as “tactical prescience” in the employment of his divisions, succeeding even though one of his divisions, the 11th Armored, faltered and had to be replaced by the 87th Infantry, later aided by the 17th Airborne Division. Though Patton made clear he wasn’t limiting his praise to Middleton alone, but included his officers and soldiers, few American generals in any theater of operations have been showered with such unstinting praise—especially from a commanding officer not noted for overpraising. Why has a general who moved Patton to such effusive heights been so studiously ignored by both historians and the public? It is one of history’s enduring ironies that a minor airborne commander, who was in charge only because his superior had been recalled to the US for consultations, came to be identified with imperishable heroism that somehow turned the tide in the key Battle of the Bulge. And yet popular lore still transforms McAuliffe’s single word “Nuts” into some magnificent gesture that rallied bedraggled American troops to victory. In Bastogne, there is a McAuliffe Square, and historians sing his praises. Totally overlooked is the man extolled by Patton as the true architect of the Bastogne triumph and the tactician who crippled the German blow, paving the way for the Third Army’s virtually undeflected drive into Germany. History takes odd bounces. One of the oddest has been the deification of McAuliffe, who had been ordered to stay put, while history has systematically disdained the man labeled “prescient” and a “genius” by the Ultimate Judge himself during the American Army’s bloodiest campaign and greatest victory in history. An ASTP cadet in 1943-44, Mitchell Kaidy joined the 87th Division in March, 1944, serving until its demobilization. After the war he received a journalism education and has worked for three daily newspapers, a television station and public radio in Upstate New York. In 1963 he contributed articles to a Pulitzer Prize-winning series, and in 1993 he won a Project Censored award for free-lance investigative journalism. 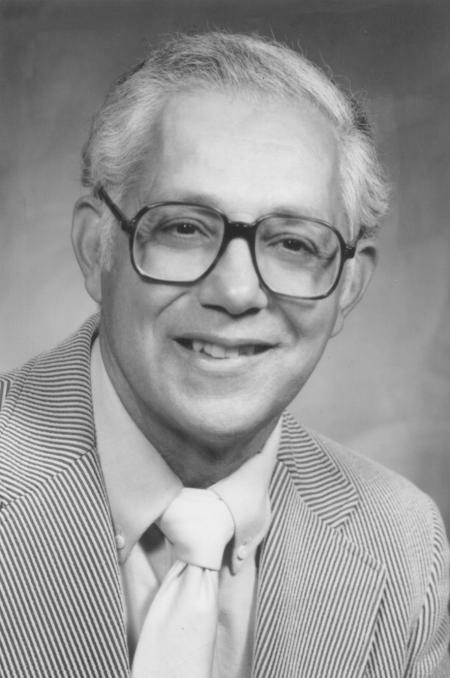 He was an active member of the association and served as division historian. Mitch passed away on 10 January 2013 at the age of 87.